Rubella remains a significant pathogen worldwide, with 100,000 cases of congenital rubella syndrome estimated to occur every year. Vaccines to Rubella are highly safe and have effectively eliminated endemic infection in many developed countries, yet inadequate vaccination coverage continues to result in large outbreaks. To improve the prevention, surveillance and treatment of Rubella, further research is needed to better understand the disease and methods to combat its resurgence. In, 1963 an epidemic of rubella swept through Europe, infecting thousands. Infants presented with encephalitis, thrombocytopenia, mental retardation, hepatitis, cataracts, and a range of other debilitating manifestations that affected virtually all organs (now characterised as congenital rubella syndrome, or CRS), (1). In 1964, the epidemic spread to the US, spurring cross-Atlantic collaboration to rapidly deliver an effective vaccine. Vaccines were successfully developed and licensed by the end of the decade, leading the US and UK to embark on national vaccination programmes, though with notably different strategies. The US goal was to vaccinate infants and eliminate the childhood reservoir; The UK aimed to vaccinate only adolescent girls (2). CRS incidence was decreasing, but pregnant women were still being exposed to rubella in the US and male reservoirs still threatened unvaccinated females in the UK. As a result, both countries revised their strategies to include universal immunisation of infants and the targeted vaccination of women. Since, the strategy has been adopted by many nations in the western hemisphere and has seen massive success. From 2000-2012 worldwide cases dropped 86%, and as a result, systematic rubella vaccination has eliminated both acquired and congenital rubella in many developed countries (2). Nations that have achieved high public vaccination levels are now focusing their efforts on eradication. However, this has brought forth new challenges, as high-quality, sensitive diagnostics in robust surveillance systems are crucial to rapid and effective response. Rubella is a viral disease that most commonly affects children and young adults, characterised by its distinctive red rash. 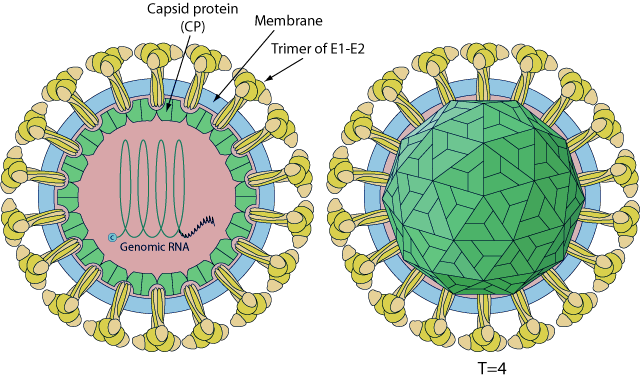 The Rubella virus is a positive-stranded RNA virus of the Togaviridae family, with an icosahedral capsid, surrounded by a lipid membrane to evade immunorecognition by the host. Rubella is spread spread via airborne droplets from coughing or sneezing patients to enter and infect the respiratory tract. However, the mechanisms by which the rubella virus gains entry to susceptible host cells are still poorly understood (3). 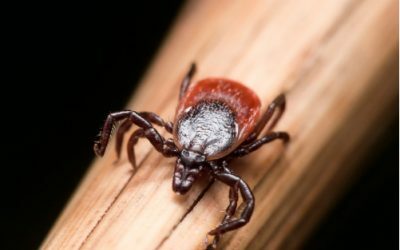 In most cases, infections last ~3 days and show symptoms of a maculopapular rash, lymphadenopathy, low-grade fever, conjunctivitis and sore throat. Once infected with rubella, immunity is lifelong, evidenced by higher incidence in adolescents. Source: ViralZone www.expasy.org/viralzone, Swiss Institute of Bioinformatics. While most cases of rubella are characterised by mild childhood illness (postnatal rubella), infection in utero results in congenital rubella syndrome (CRS) (4). In the development of CRS, Rubella virus infects the placenta from the mother’s bloodstream, spreads to the foetus and alters the function of many foetal systems by interfering with organ formation and inducing inflammatory responses. The most common birth defect resulting from CRS is deafness, but can also cause a host of other defects in the eyes, heart and brain of those infected. 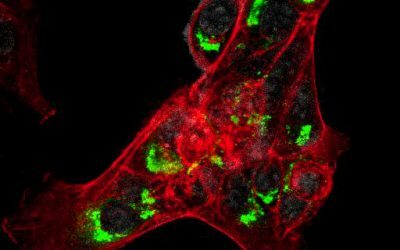 While the molecular aspects of rubella’s pathogenesis are unclear, it is thought that rubella’s capsid protein may induce apoptosis in host cells via a p53-dependent pathway (5). Rubella was the first virus shown to be teratogenic in humans and its significance in public health is largely due to its teratogenic potential (4). CRS is a leading cause of birth defects in endemic countries, where those infected by the Rubella virus in early pregnancy have a 90% chance of passing the virus to their foetus. Once infected, foetuses develop congenital abnormalities or in some cases, terminate. There are approximately 100,000 cases of CRS every year (6). As evidenced by initial rubella vaccination programmes in the US and UK, immunisation strategy has a significant effect on public health outcomes. While many developed countries have the financial capability to eradicate endemic rubella, competing public health priorities threaten vaccination programmes. In recent decades, Japan, Poland and Romania have employed cost-saving vaccination strategies that have led to major outbreaks. 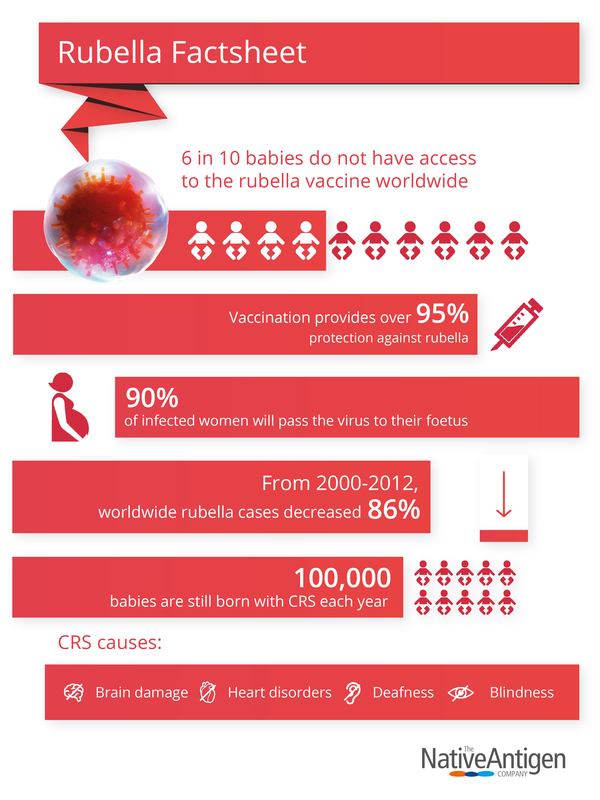 In 2013, a Rubella epidemic in Japan infected over 16,000 people, causing 45 cases of CRS and the death of 11 babies (7). Experts suggest that initial outbreaks were strongly influenced by Japan’s long history of selective immunisation policy of young women, to reduce cost burden, leaving the older female and near-entire male population susceptible to establish reservoirs for infection (10). In fact, 70% of cases were reported in men aged 20-39 years, highlighting the strategy’s flaws. In response to the epidemic, the Tokyo metropolitan government provided financial support to local governments, to provide free adult measles-rubella vaccinations. However, most local governments have continued to target females of childbearing age and their partners in an effort to curtail the existing epidemic, leaving male populations susceptible to further outbreaks. In late 2018, Tokyo witnessed another Rubella outbreak, with over 2,000 people diagnosed, making it the worst outbreak since 2013 (7). Learning from past experience, the Japanese government is offering free vaccinations to men between the ages of 39-56 who did not receive vaccination under previous healthcare programmes, and some local governments are now offering free antibody-based tests (7). But, while the Japanese government’s response has been swift, it may be too little too late. Due to increases in susceptible population size and contact rates, outbreaks of rubella tend to persist for 2-3 years before they are effectively eradicated (6). This has raised international concerns about Tokyo’s upcoming sports events, such as the Rugby World Cup and Summer Olympics which may expose a much larger, susceptible population to the virus and risks international spread by returning travellers. Vaccinations are estimated to prevent 2-3 million deaths per year and another 1.5 million are thought to be avoidable with better global coverage. While some of these deaths result from lack of access, the WHO has identified vaccine hesitancy as a key factor in disease transmission, as anti-vaccination sentiments have gained traction in recent years. Combination vaccines of measles, mumps and rubella (MMR) have been a focal point for anti-vaccination movements since the turn of the century, distributing widespread misinformation regarding their nature and safety profile (8). This has resulted in a sharp increase in hesitance and outright refusal to vaccinate children, threatening to reverse decades of progress in countries with high vaccination coverage and limit progress in those that do not. The CDC reported last year that children under the age of two in the US who’d had no vaccinations had quadrupled since 2001. 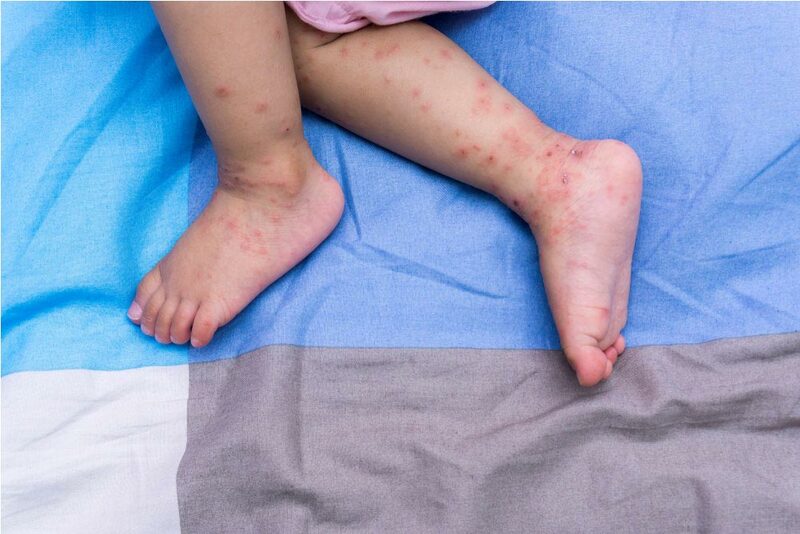 In Europe, there has been a sharp surge in measles outbreaks due to anti-vaccination movements, that caused 25 deaths in 2018, with ongoing outbreaks in Romania, France, Greece and Italy (9). India in particular has been struggling with its measles-rubella vaccination efforts. The circulation of false information on social media has resulted in widespread hesitancy from parents, school authorities and students to vaccinate (11). In Mumbai, around 70 schools continue to deny MR vaccination to students, resulting in only 50% immunisation levels of targeted children (12). As a result, the WHO has identified vaccine hesitancy as one of the top ten global health threats of 2019 and is supporting international efforts to address this issue. Percentage of population vaccinated with 1st dose rubella vaccine by country (adapted from WHO rubella vaccination map (13). Besides high vaccination coverage and high-quality public information, a sensitive surveillance system, backed by accurate laboratory diagnostics is crucial to achieving regional elimination. This is highlighted by the fact that 50% of rubella infections are asymptomatic or subclinical, and often show symptoms similar to other viral diseases. Moreover, the defects of CRS are not always disease-specific, making standard clinical diagnosis of rubella unreliable. Serological testing is the preferred method for diagnosis of rubella, achieved by detecting the presence of IgM, or a significant rise in IgG from paired, acute and convalescent sera. Detection by IgM capture ELISAs, or indirect IgM ELISAs are most commonly used for postnatal infection and can also be used to substantiate CRS. 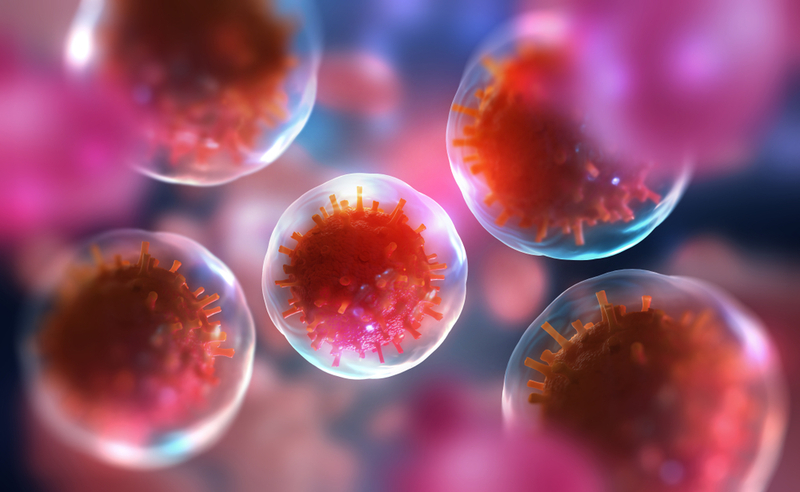 However, assays a prone to false positives, as the positive predictive value of IgM assays decreases as more false positives are obtained from larger populations and cross-reactivity with rheumatoid factor and other viruses reduce validity of results. This is especially relevant when considering the effect that false positives have on the clinical pathways of pregnant women. Immune responses between postnatal rubella and CRS also differ considerably. Rubella virus-specific IgM is present in serum samples in just 50% of infected cases within 24 hours of a rash appearing, but become much more detectable 5 days after (6). Unlike cases of postnatal rubella, those with CRS are IgM- and virus-positive for months following birth. The timing in diagnosis for postnatal rubella is therefore crucial to accurate detection and containment of disease with current technologies. 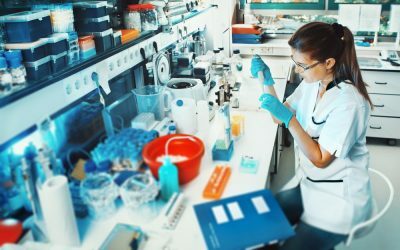 Further research research into rubella’s receptor-mediated mechanism of entry could be exploited in new vaccine, diagnostics and therapeutic development, and a none-cold-chain vaccine that does not require skilled health workers to administer would be an advantage for many developing countries, especially in the tropics. Traditionally, the antigens used in serology assays are derived from native rubella virus grown in culture. However, Rubella culture is notoriously difficult, and requires very large culture volumes to generate enough virus for purification. 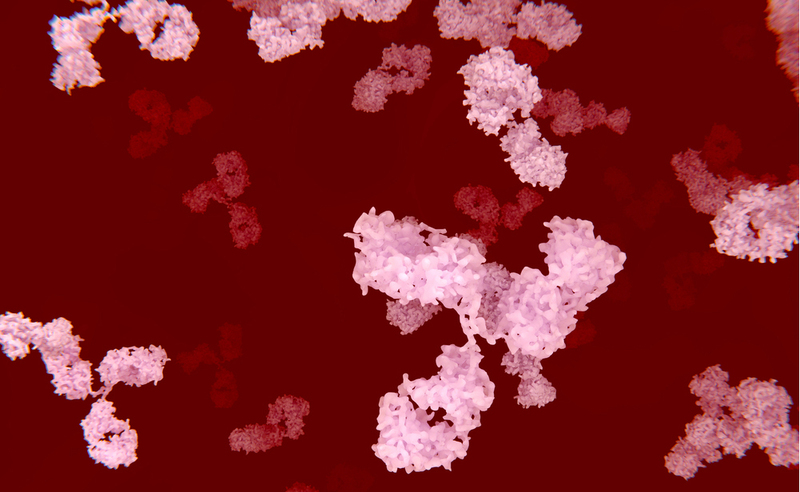 In order to overcome this, The Native Antigen Company have used their expertise in protein expression to prepare recombinant proteins that can be used in the development of a new generation of rubella assays. 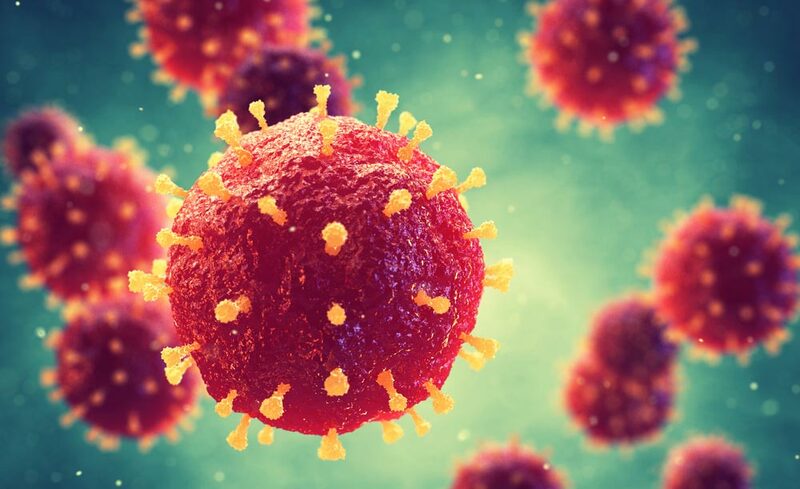 Our Rubella virus like particles are a unique, prepared by co-expression of Rubella E1, E2 and Capsid proteins. These particles can be prepared in higher yields than native rubella virus, and potentially represent a valuable target for serology. These proteins are expressed in our mammalian cell system, and are fully glycosylated and folded. In comparative studies with an existing diagnostic test platform, the E1 protein has shown a particularly strong performance in detecting IgM and IgG positive patient sera. Our range includes antibodies that are highly specific for the E1 and E2 proteins and are excellent reagents in both ELISA and Western blotting applications.